Best Audience: It is perfect for TEAMS of 5-15. Sales, Account Managers, Marketing, Executive. This workshop is designed first to generate participant excitement about the simple shift of going beyond responsibility…getting to increased levels of OWNERSHIP. Leaders will understand what is expected of them using an exercise that defines the top four expectations of the key stakeholders their team serves. The power of this is defining it as a team and developing measurements that enhance this experience. From there, Gene helps participants identify how to the six disciplines of hypergrowth can be leveraged within your organization. With specific techniques, attendees work together to start identifying their path to leading to inspiring OWNERSHIP. Under Gene’s guidance, individuals will develop their steps to more effective leadership. The outcome of this half-day event is everyone walks away with their individual plans and a clearer understanding of how they can affect growth by a plan they can use to enhance their effectiveness in each of their roles. Understand the six disciplines of hypergrowth. Time: Can be a half day or a full Day experience. Pre-call is required to customize the experience to the team. It is a four-hour interactive workshop and executive debriefing. 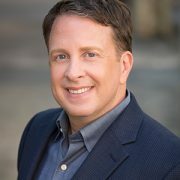 Gene Hammett studies HyperGrowth companies to understand challenges and opportunities for quick growth. He consults with companies to develop new strategies for their personalized path to growth. Gene speaks internationally about becoming THE choice, not a choice and cultivating the entrepreneurial spirit to activate HyperGrowth. Gene is also the author of The Trap of Success: A Brutally Candid Guide to Overcoming Your Fears, Finding Significance, and Achieving Profound Success. A regular contributor to Inc Magazine, Gene has also been featured in Forbes, Success, Business Insider, and Entrepreneur.